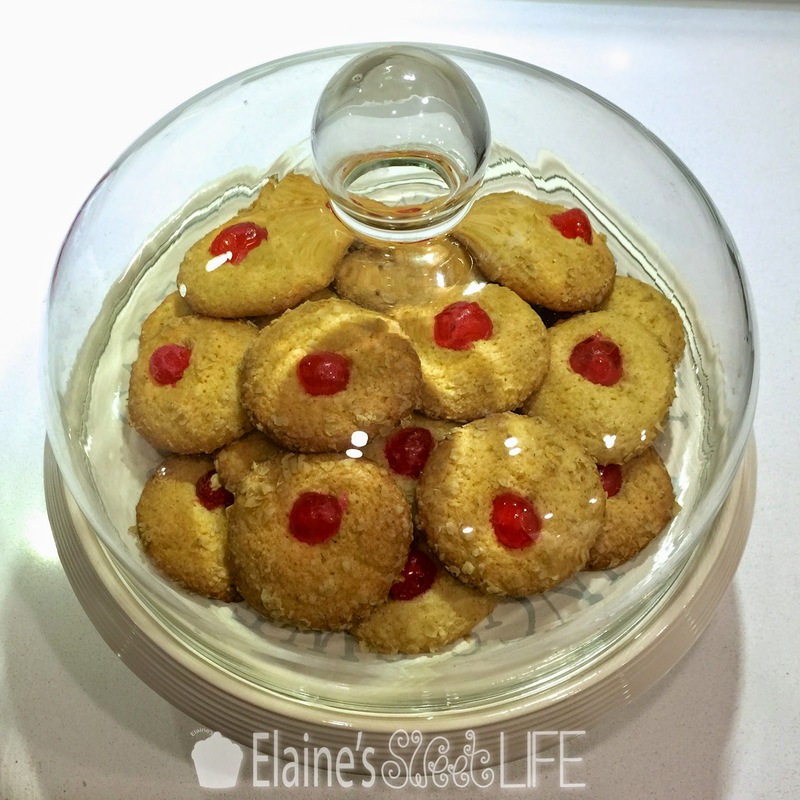 Melting Moments are crisp, shortbread-like cookies that are tender to the bite, a little crunchy, but then melt away in your mouth. 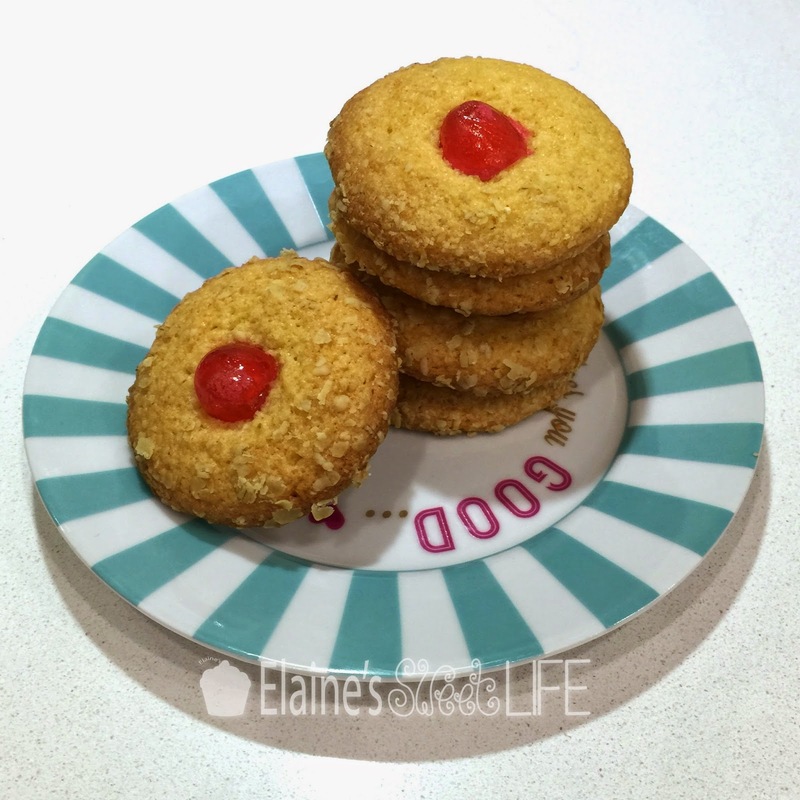 They are simple, unassuming little cookies, but definitely moreish! And I think they look rather pretty with the bright red cherry in the middle! I had a bit of fun with these cookies. I made a big batch for my Young Women lesson at church on Sunday - everyone really enjoyed them at the end of the lesson, and we had the Young Men appearing at the door looking for their share too. Some of the cookies however, had a little extra, not so welcome ingredient - dirt. I presented a platter of dirt infused cookies at the beginning of the lesson and gave the girls a choice, they could eat a cookie if they wanted to, but I made them aware that there was just a little bit of dirt in each one. Only a tiny bit of dirt though, it probably wouldn't even really be noticeable if you were to eat the cookie, the few tiny visible specks could surely be ignored - the cookies still looked really yummy. Unsurprisingly, they did not rush to eat them. I then compared eating the contaminated cookies with making choices to do things that were mostly OK, hoping that the tiny little bits of 'bad' involved in those choices wouldn't affect them. Line 2 baking trays with baking paper or silpats. Beat butter, sugar, egg yolks and vanilla together. Add the flour, baling powder and salt and beat in until you get a smooth batter. Spread the rolled oats out on a plate. 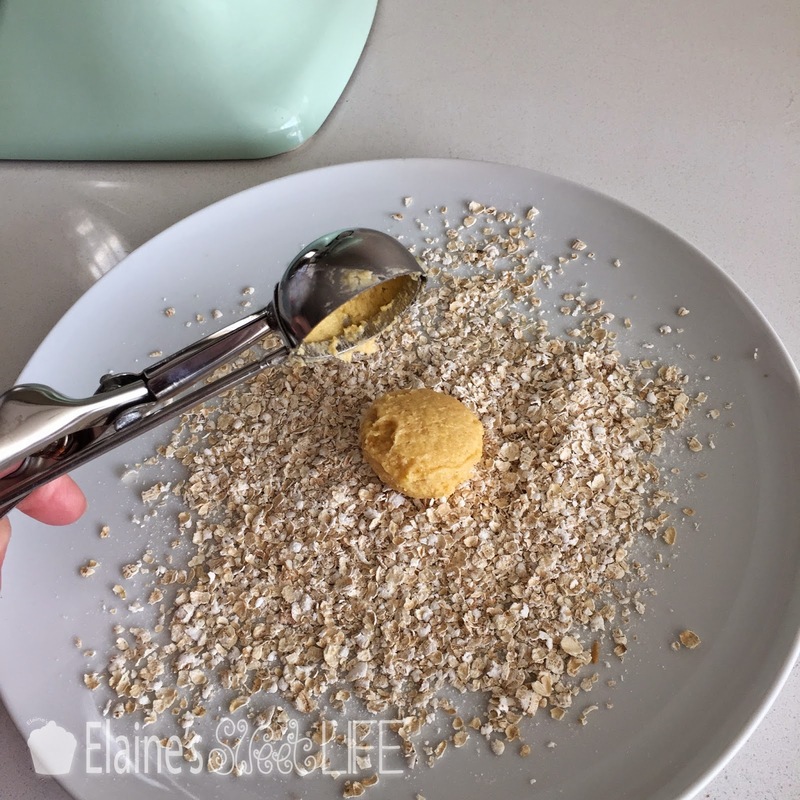 Scoop out about a 1 1/2 inch ball of dough (either with two table spoons or with a small ice cream scoop), and drop it onto the rolled oats. 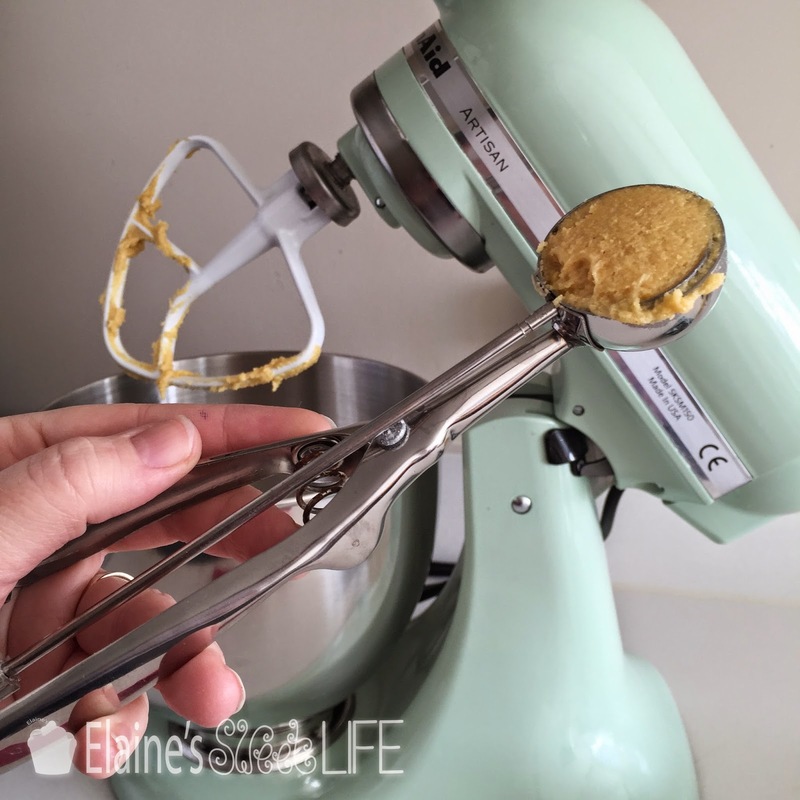 My little ice cream scoop measures 1 1/2" across, I use it for all of my drop cookies, like chocolate chip cookies and snickerdoodles. It's just the right size and using it means that my cookies all come out uniform in size and shape. 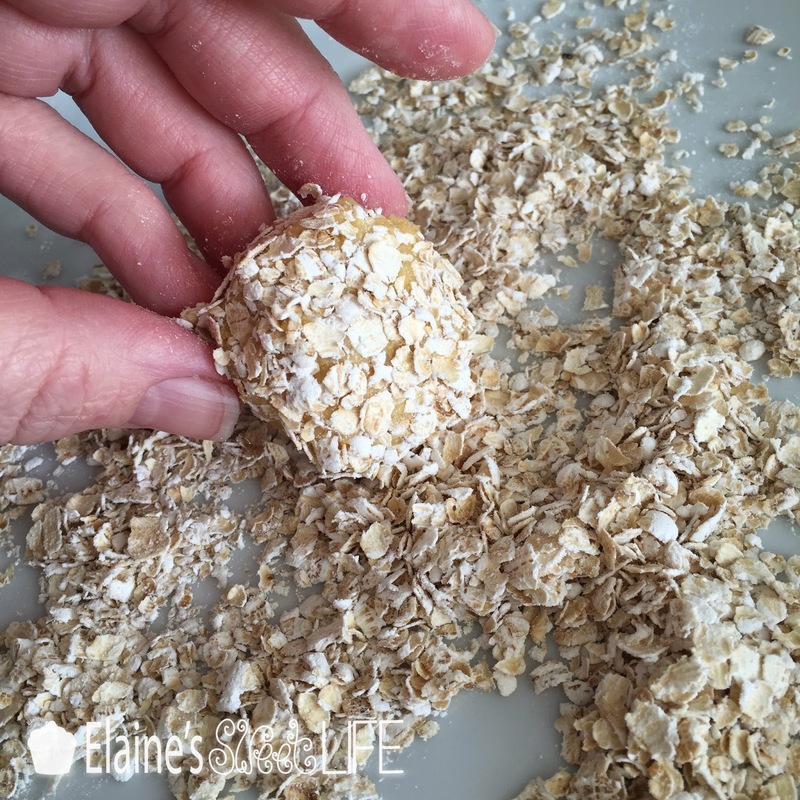 Roll the ball of batter around until it is coated in oats. 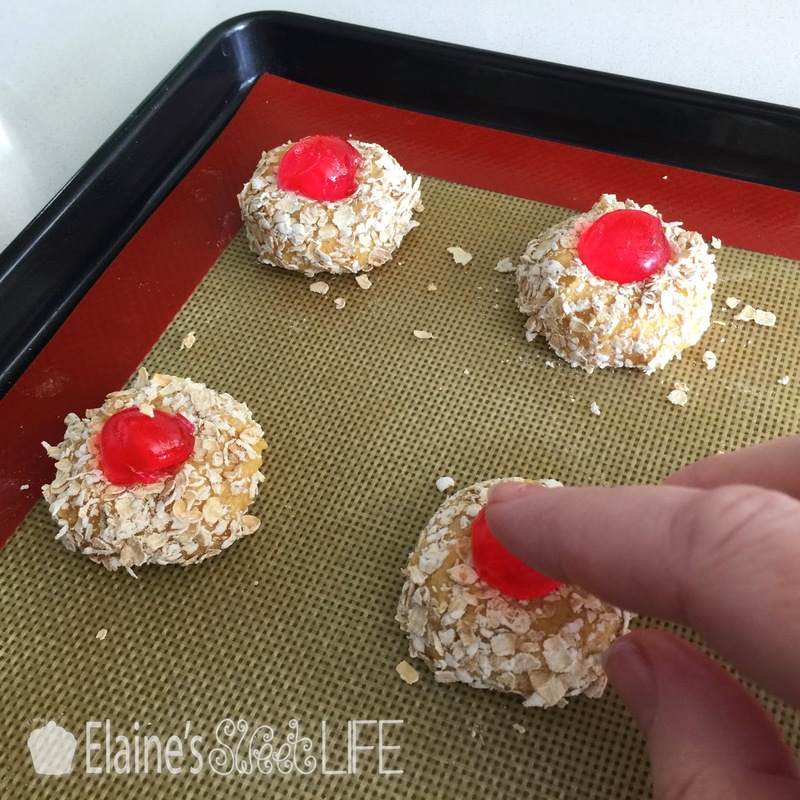 Place on a baking tray and flatten slightly, then top with half a glacé cherry. Repeat until all the dough is used up - you should get about 30 cookies - 15 on each baking tray. Ensure there is space around each cookie to spread out when cooking, about 1 1/2” space between cookies is enough. Bake for 18-20 minutes, until just going golden around the edges. Leave to cool on the baking tray for a few minutes, then lift onto a cooling rack to cool completely.